One of the new features of UU A Way Of Life online magazine of faith is the spiritual book of the month. 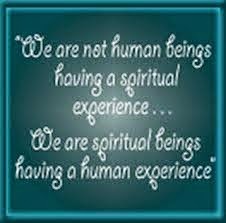 The spiritual book of the month discussion group selection will be discussed on UU A Way Of Life for a month. Readers are welcome to join in the discussion by adding comments to the posts. Also, readers may recommend books for upcoming months by leaving them in the comments or by sending them to davidgmarkham@gmail.com. On page ix they write, "Effective work for social change requires people of faith who are theologically literate and engaged. To that end, this book provides a primer in progressive theology." Buehrens and Parker use the metaphor of a house and divide their books up into six parts corresponding to the parts of the house such as the garden, the sheltering walls, the roof, the foundations, the welcoming rooms, and the threshold. They write, "Theology, we suggest, is architectural - it provides a framework for human life. It is also ecological - it creates an interactive system in response to a specific environment." I had fallen away from my Unitarian Universalist faith for several months for a variety of reasons, but feel the spirit calling me back. If is a faint call that I can barely hear but I can sense it. 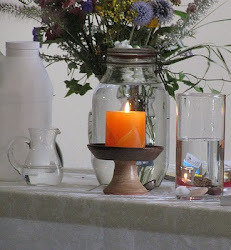 Having been raised as a Roman Catholic and drawn to Unitarian Universalism in the second half of my life I have felt attracted but have found little substance, nothing deeper that is expressed directly or easily, and I am wondering if this is the primary reason that the denomination has remained so small - there is nothing that speaks to people or doesn't speak deeply enough to be spiritually nourishing. Buehrens and Parker quote Sara Robinson on page x who says that Americans yearn for a deeper narrative describing their cultural story. UUs do not have a creed nor as defined a structure as other churches and so what it stands for seems more ephemeral, more idiosyncratic, and therefore provides no collective understanding that binds people together in meaningful relationship. The only thing, in this regard, which I find helpful is the seven principles which we covenant to affirm and promote. What is it that binds UUs together in relationship? What works for you? What is your understanding of what church is, how it should function, what role it plays in yours and other people's lives? 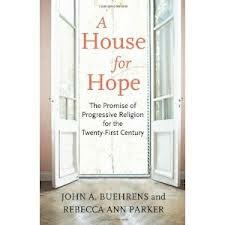 Do you agree with Buehrens and Parker that theology should promote social activism and social change? Thanks for mentioning this book. I tried to read it last year when it first came out, and the house metaphor wasn't working for me. I think of theology was wind, air, breath, or even to use a narrative metaphor and think of theology as different parts of a story. Church is a vehicle of evolution. It is a mechanism to raise consciousness, but that presumes leadership who are highly differentiated as Friedman talked about in the leadership and ministry positions. I look forward to the further discussion. Thanks again for returning to the air waves and picking a book to discuss. Glad to see you posting again. I have missed your articles. I look forward to the future articles and discussion. There are plenty of social justice organizations out there. The UU doesn't need to be doing this unless it is grounded in a spiritually nourishing theology which transforms society and is not just trying to fix social problems. "I am wondering if this is the primary reason that the denomination has remained so small - there is nothing that speaks to people or doesn't speak deeply enough to be spiritually nourishing." I think that there are a variety of reasons why Unitarian Universalism remains "a tiny, declining, fringe religion" (to borrow a few choice words of UUA President Peter Morales) and this may be one of them, however I am convinced that the anti-Christian, and more broadly anti-religious/anti-theistic, "bad attitude" that exists in so many U*U "churches" is a MAJOR contributing factor to why so very few Americans and Canadians have opted for Unitarian Universalism as their chosen faith. Who wants to go to church on Sunday only to be insulted and maligned by intolerant atheists aka "Humanists"? Of course not ALL U*U atheists are intolerant and abusive towards Christians and other theists, but it only takes a handful of outspoken militant atheists in any U*U "church" to make it a "less than welcoming" congregation for God believing people. Another major reason for so few persons of inherent worth and dignity choosing to join The U*U Movement is the classism and snobbish elitism that many U*Us exhibit. And yet another reason for U*Uism's stagnation and decline that was put forward by Rev. Gail Seavey of the Nashville Tennesee U*U church within the last year or two is the UUA's past (if not ongoing...) negligent responses to clergy sexual misconduct. It seems that over 400 of the UUA's 1000 or so congregations have been negatively impacted by one form of clergy sexual misconduct or another and that, in general, clergy sexual misconduct complaints have not been handled well by the UUA and implicated U*U "churches". Most ironically, Rev. Dr. John Buehrens himself can take credit for eight years worth of UUA negligence towards, and effective complicity in, U*U clergy misconduct of all kinds. . . He and his "less than competent" UUA administration certainly failed quite miserably to "respond in responsibility" to the non-sexual clergy misconduct complaint that I filed against Rev. Ray Drennan as a result of his anti-religious intolerance and bigotry and related "conduct unbecoming a minister".